Exchange Server administrators need a solid understanding of best practices and hardware requirements when they move to a new version of Exchange Server. This collection of articles offers Exchange Server deployment and migration advice, and also features security-based tips that explain email policy management and ways to protect messages in Exchange Server. 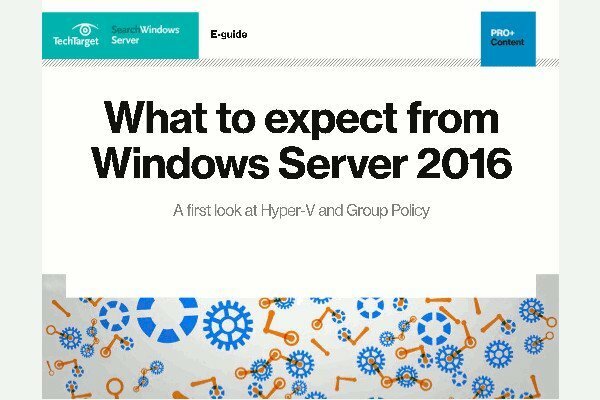 Access this complimentary guide to learn how Group Policy and Hyper-V features and capabilities have changed in Windows Server 2016, and discover the key networking, security, and storage benefits these changes offer. Microsoft released updates for all supported versions of Exchange Server. The updates cover issues with mailbox anchoring in Exchange 2013 and improvements to lagged database copies. Microsoft released Exchange 2016, but older versions may win out. No matter the version, admins should prioritize Exchange security in 2016.